I have this love/hate relationship with Better Business Bureau – I’m not sure that it does my business any good and having to pay for a membership to boost my rating really doesn’t seem right. 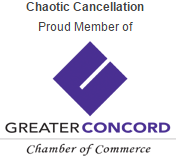 They cancelled my membership again because my CTEC license hadn’t been renewed as of 12/2/15, ok, so I was little bit behind on getting that renewed. Clients come first, I hadn’t had a chance to get my continued education as of 12/2/15 – btw, that’s done, 20 hours of boring federal tax law updates done! but I still had plenty of time to renew with a late CTEC registration + fee as of 12/2/15. So random search on google for tax preparer in Concord, CA – found several on the PTIN website, then checked their licenses on the CTEC website – of the five I checked, only two were registered with CTEC and none were listed on the BBB website – so yeah, not going to be renewing that anytime soon, save my money.